I am SO close to summer! This is my last week at school with students. It's always a little bittersweet for me. On one hand, it's hard to say goodbye to students. On the other hand, summertime means no stress and fun with my boys. This wins out for sure! As excited as I am to start making summer plans, I need to give all my attention to school for one more week. On the last day of school, I'll be giving my students a little summer packet that (I'm hoping) they will work on to keep their skills sharp. 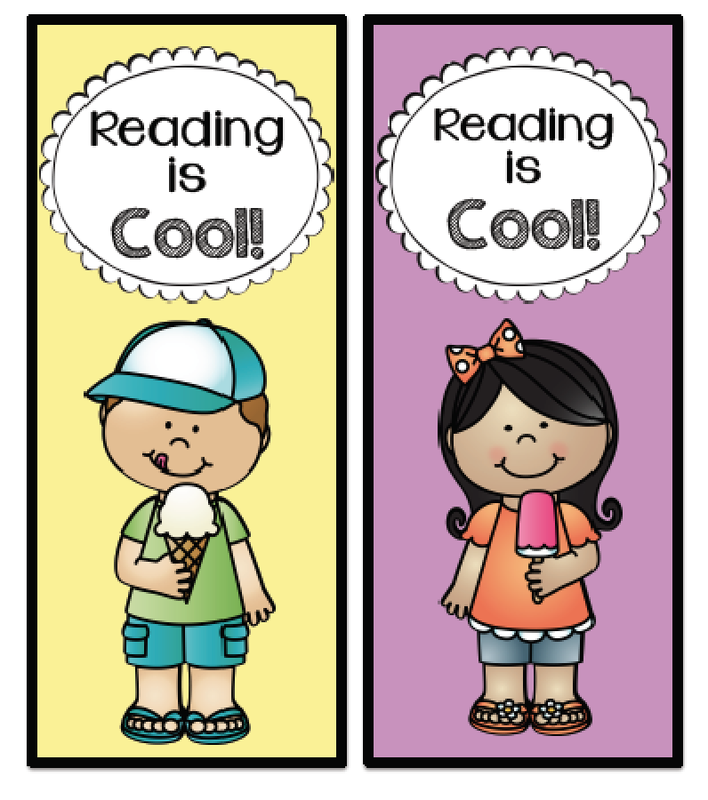 I'll also be giving them these bookmarks. 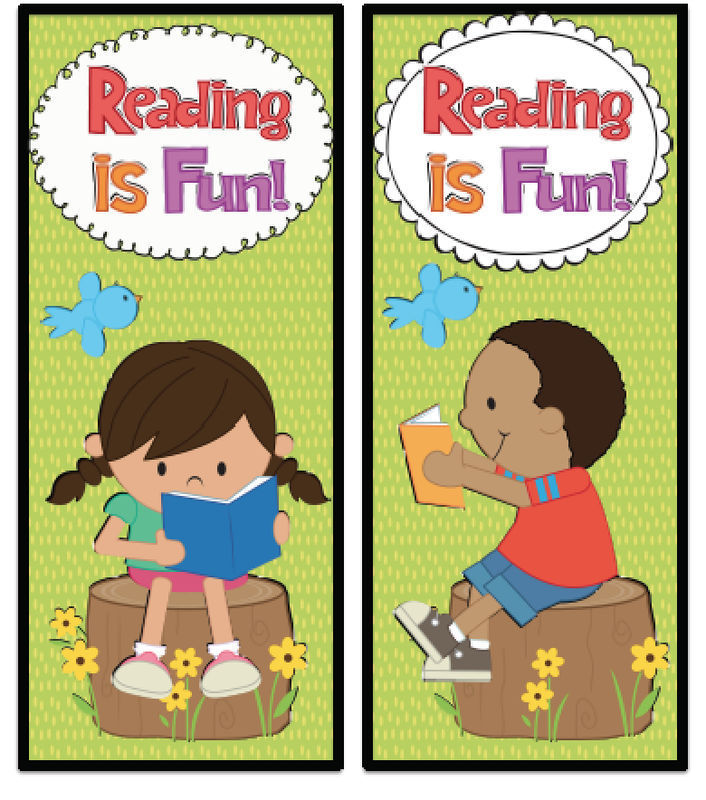 For some reason, bookmarks can be extra special to some kids. My son is one of them. He is all about the bookmarks! I made a few options and a black and white option. You can download these for free here. 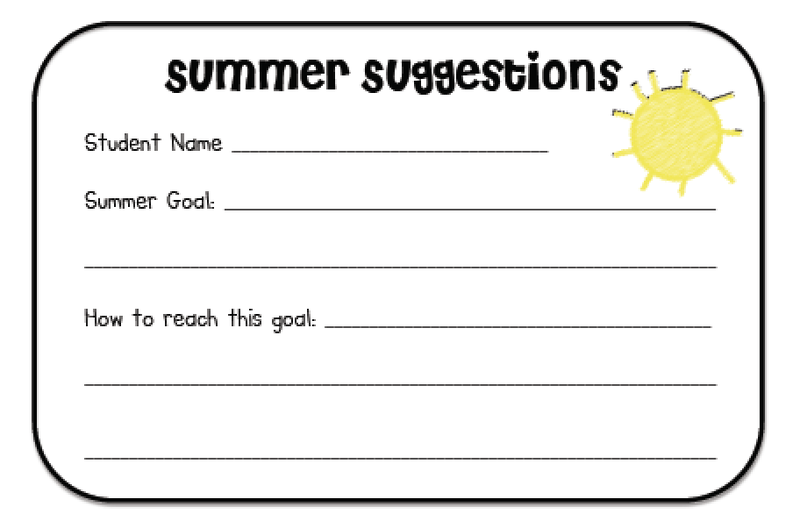 I made this little "summer suggestions" sheet that I sent home on the last day of school. I had my students fill out one and I filled out one. I chose one or two things that I felt that student really needs to focus on this summer (handwriting, reading fluency, long vowels, etc.) You can download this freebie here.